Today was a holiday, and we were supposed to be thinking Thanksgiving, but no one was around. We did do a bit of Thanksgiving last week, but when the rest of the family comes home we are going to do a bigger one. Needless to say, not much Thanksgiving was going on in my house this weekend. We also had homemade Chinese food, so that was about as far from Thanksgiving as we could get. We did enjoy the time off though. 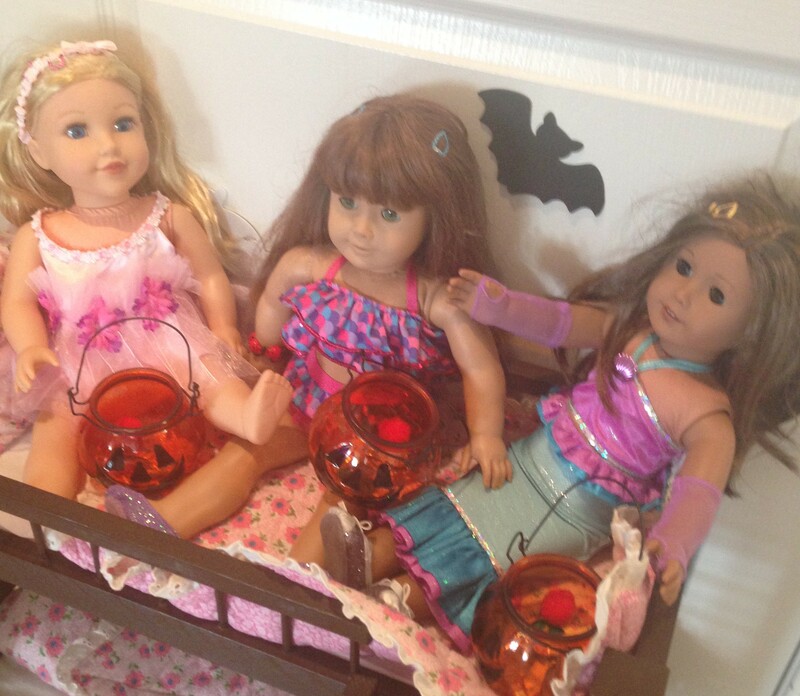 In the Halloween swing of things, my girl decided that her dolls might like to go trick-or-treating. 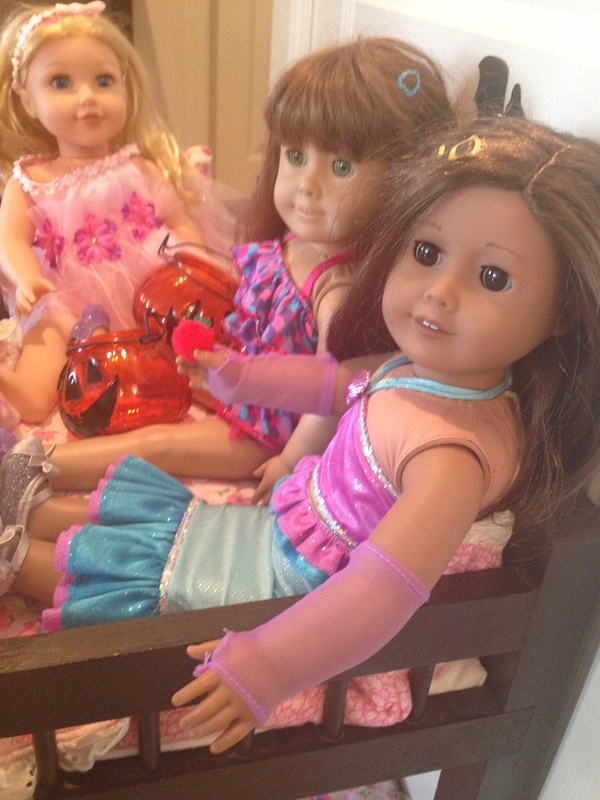 She has been very excited for Halloween this year, so it seemed necessary that her dolls join in on all the fun. 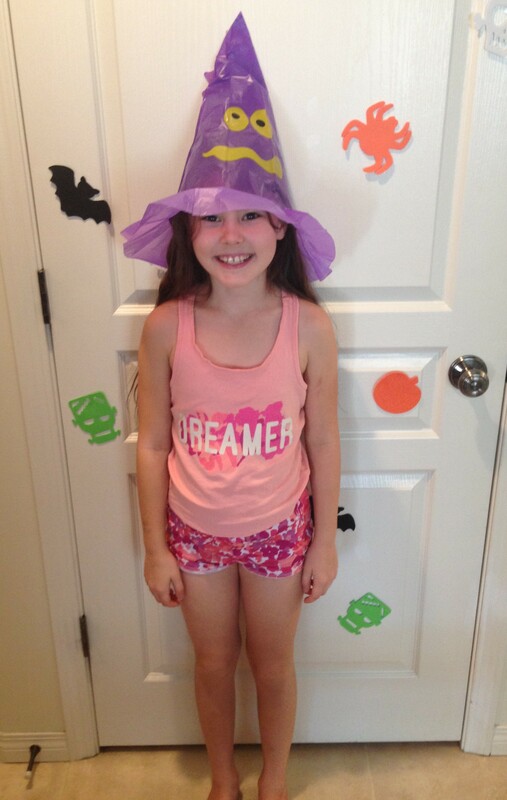 The first thing that we did was dress all of the dolls up in Halloween costumes. 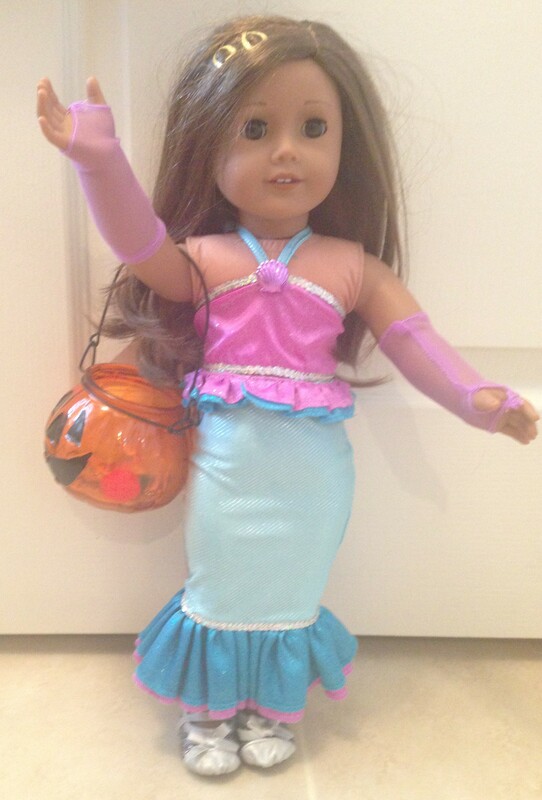 Some were fairies, others were princesses, and one was a mermaid, a favourite doll costume that we acquired this year from the Walmart MyLife doll brand. We gave them all doll Halloween buckets. 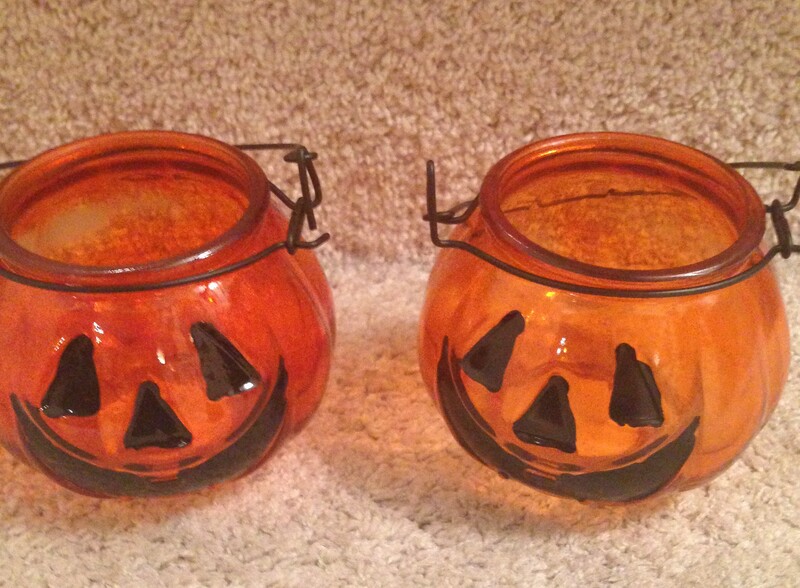 These are just tea light holders that we got from the dollar store two years ago, but they were pretty cute to play trick-or-treating with. Here are the princesses. 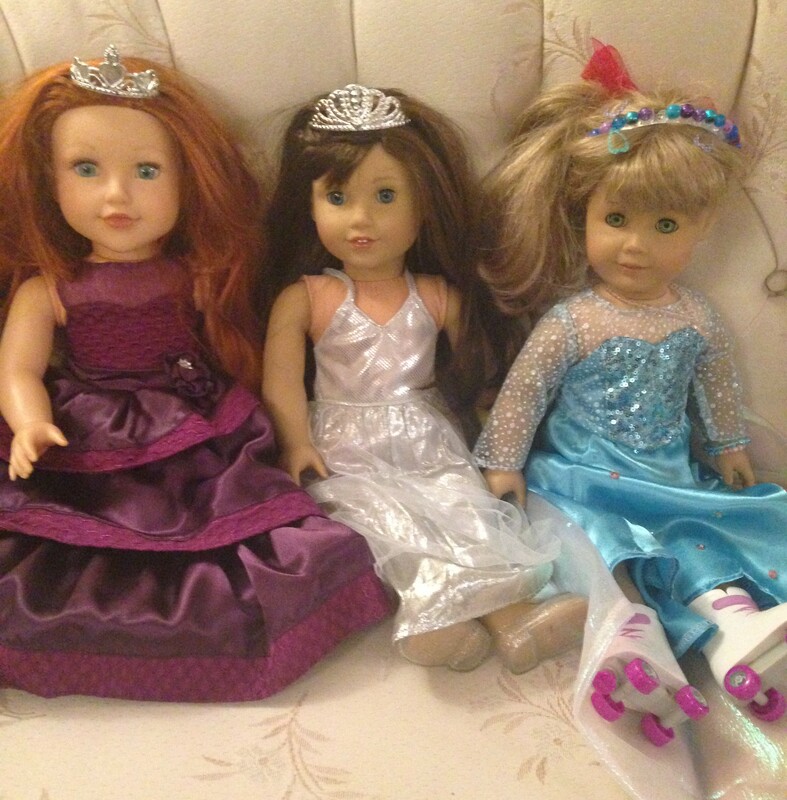 I have no earthly idea why Elsa (Becky) is wearing roller-skates. I mean, I thought she was an ice princess. To each their own I guess. Next was the fun part. 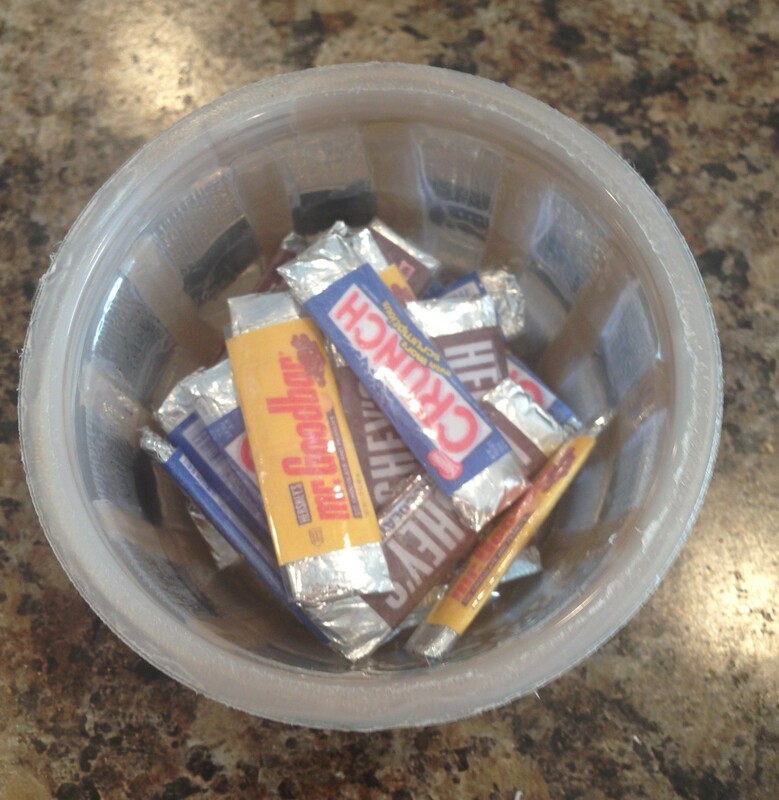 We had to make candy for the dolls! Now we had a few pieces already. 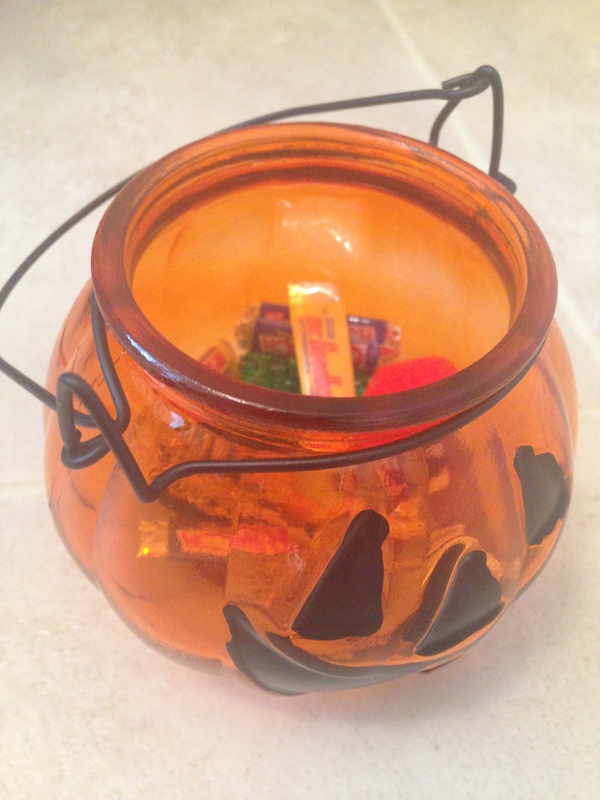 You can find our version of rock candy and lollipops in older posts, but the doll candy that my girl wanted the most were those mini chocolate bars that you can only get at Halloween. 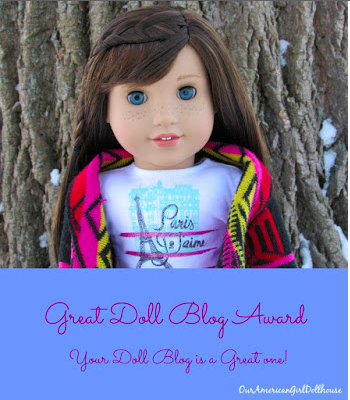 There is a pretty awesome doll chocolate bar printable over at AmericanGirlIdeas.com that I had already been wanting to try out. All I had to do was shrink it down to mini. So I printed them out at about 65% scale. I would still like to make the full sized version, but maybe another day. Once they were printed, I cut them out. I left a bit extra on there for the tab as I found that they were kinda hard to work with otherwise. Next, I cut out a piece of craft foam that was a bit longer than the printable. We had tan foam. You will also need a piece of tinfoil. Wrap the craft foam in the tin foil just like a present, and tape it shut. 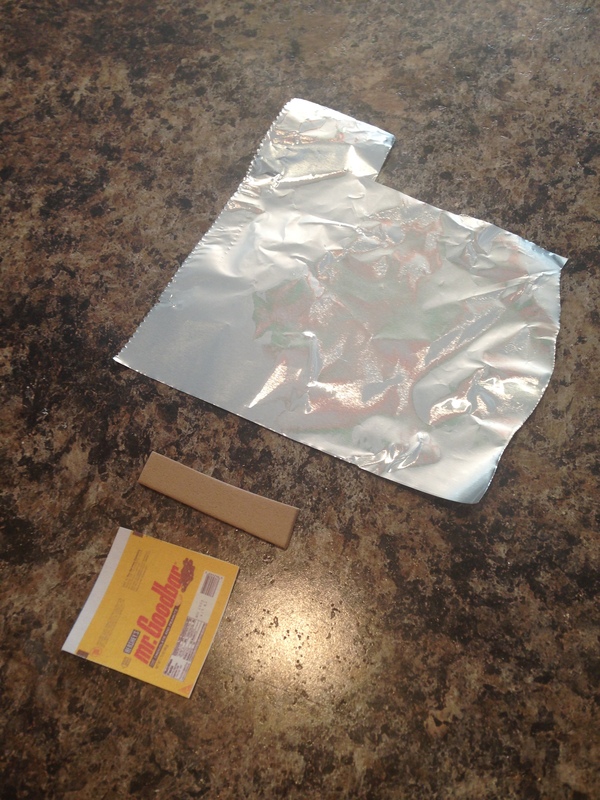 Now fold your printable wrapper around the foil covered foam. 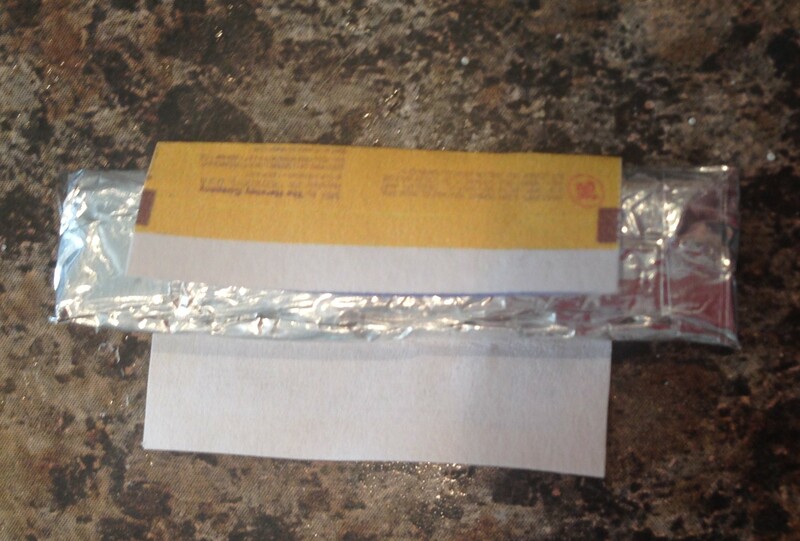 Be sure to leave a bit of the foil part overhanging on either end. Tape it closed at the back. 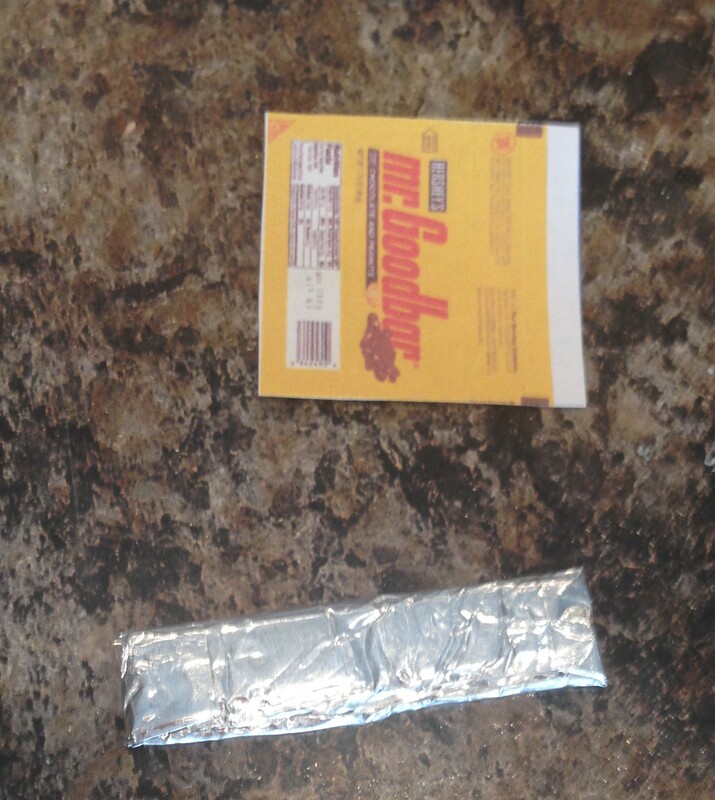 I ended up covering the entire thing in tape because I didn’t want the foil piece to slide out of the wrapper, but that is entirely up to you. Make as many as you like!! 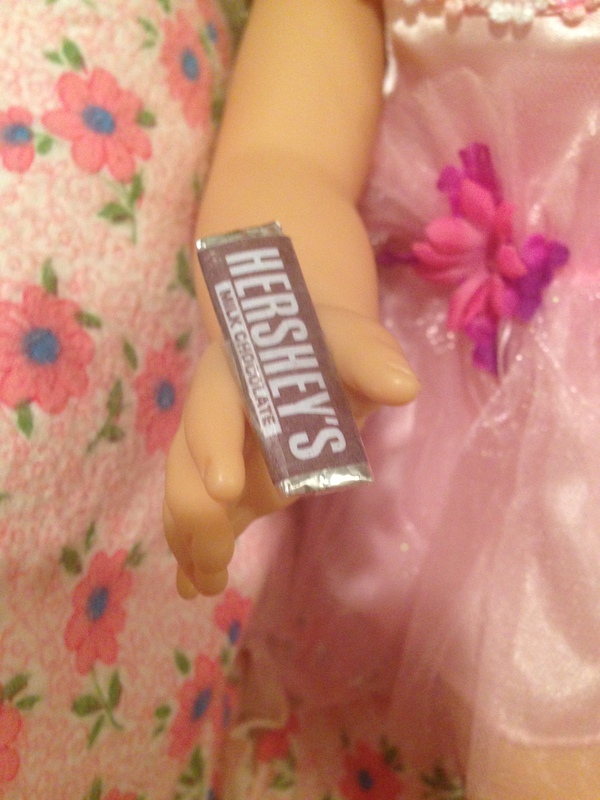 These little chocolate bars are perfectly sized as mini’s for your dolls this Halloween. Perfect for little dolly treat buckets! Samantha: What did you guys get? Summer: I think I got a hundred chocolate bars! Brianna: I got a lot too. Did anyone else get an apple? I mean, who even gives out apples on Halloween anymore?! 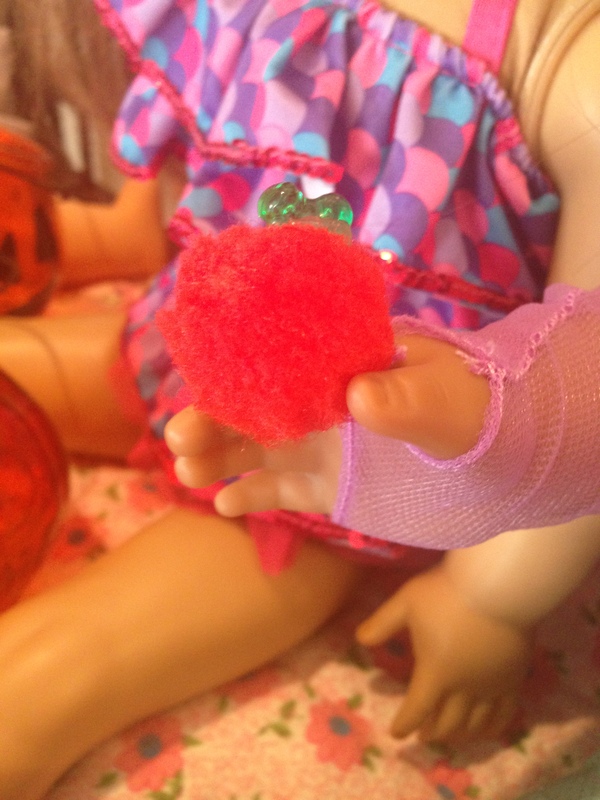 Stay tuned to learn how to make a little bucket of apples for your dolls to bob for this Halloween!